Say you don’t want to slog for hours to earn your turns but you do want deep powder, solitude and other amenities those beasts with the skins enjoy. You are a perfect candiate for the slackcountry, my friend. And we know just where you can find it. We traversed the ridge for what seemed like more than an hour, looking for the right spot to drop in. Here? No. I was following my friend–and his friends—and I had no idea where we were going. I was starting to wonder if they did. At last we stopped, had a snack and then pushed off down a shimmering slope of freshly fallen March snow. Perfect. The Love Train: Hike up, ride down, repeat. But instead of taking the obvious route down the fall line, my friend’s friends skied a dozen turns and then proceeded to gather up on an awkward spot on a sub-ridge. What the…? I skied over to them and peered over the edge as one put first tracks down a 45-degree couloir with about 16 inches of fresh snow. Now, this is the kind of thing I never experience in the backcountry in winter. I like to play it safe. I wait until the late spring freeze-thaw cycle does its magic and the snowpack has bonded before I’ll even ponder skiing it. So how did I get here? Well, we weren’t in the backcountry. We were in-bounds at Loveland, in avalanche-controlled terrain. This was the slackcountry. To the purist, backcountry is synonymous with earning turns and studying the intricacies of snow science. For everyone else, there’s loads of opportunity for a backcountry-esque experience at ski resorts. Call it what you will—“backcountry lite,” “sidecountry,” “slackcountry”—but as resorts have seen the advantage in opening the gates, it’s opened up a brave new world of freeriding that’s safer, faster and easier than true backcountry. Sidecountry has become a part of resort skiing. At some resorts (a.k.a Jackson Hole, Alta, Silverton, Crested Butte), an earn-your-turns ethos is part of the cultural DNA. But a whole slew of other resorts are realizing just what they have on the other side of the rope. Many resorts can promote a backcountry experience for guests on snowcats or with free-heel guides while simultaneously checking out terrain for potential expansion. Monarch Mountain (see page 14) ran snowcats in Mirkwood Basin before deciding to make it patrolled hike-to terrain five years ago. Telluride offered guided runs out a gate in Prospect Bowl in terrain that is now in-bounds. 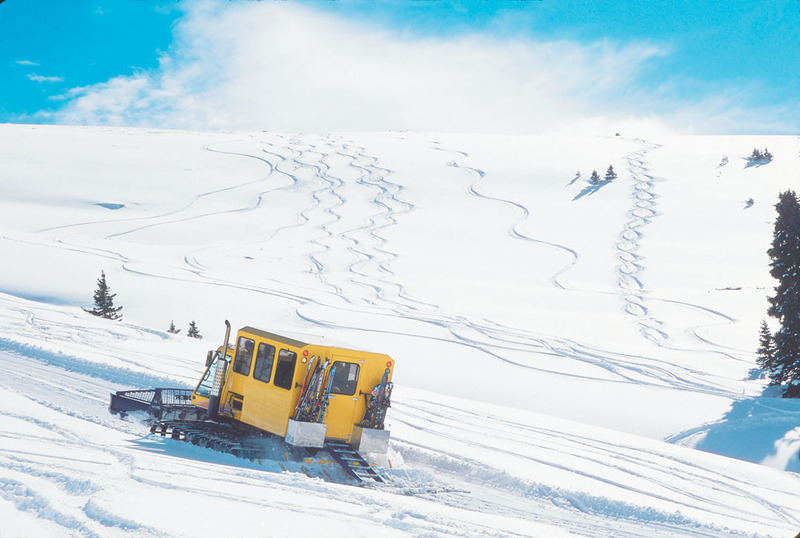 Keystone’s Outback snowcat operation gives guests a taste of powder skiing while letting ski patrol evaluate lift-served viability. 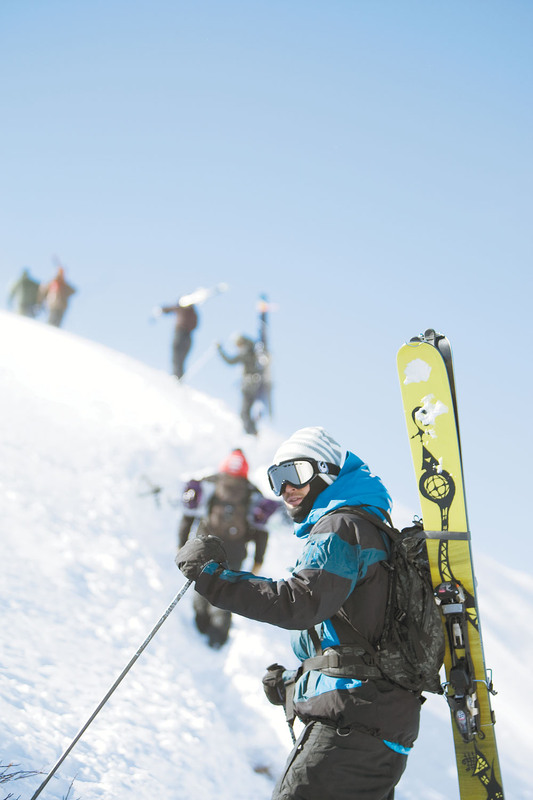 Backcountry has become a resort experience. So where is the best slackcountry to be found? Here, we run down the best resorts wth easy acess to backcountry-style adventure even when everything else is skied out. Just remember to be safe. There was a day when Jackson banned Doug Coombs for skiing out of bounds. Today the legendary hill touts not just the terrain in-area but also the even better stuff out the gates.Those feeling confident in their avalanche risk-assessment skills can ride the tram to the top of Rendezvous Mountain and ski out a backcountry access gate to freshies on Four Pines (not patrolled or controlled). And when your 4,000 vertical-foot descent is over? Traverse back to the front of the mountain, ride the tram back up and repeat until your quads give out. The uninitaited can hire a guide through the resort. Eldora has carved out a local niche as a solid little area with some athletic tree skiing. It’s close enough to Boulder and Denver that skiers and boarders can pop up for a half day and get a solid fix and still have some time to get some work done or watch the kids. It also harbors some backcountry terrain out the gate above Corona Bowl that makes it more entertaining than meets the eye. Be forewarned, this is true backcountry (be up on your training and carry avy gear), and it can be difficult for those not familiar with the terrain to find the lines instead of the wind blasted rocks. But when it’s on, it serves up a tasty slice of lift-served powder turns. Independence Day: The bowls in Keystone’s hike-to and cat terrain may surprise you. Few Front Rangers equate Keystone with big powder bowls. But the resort, which prides itself on being a family destination, has recognized that some family members want adventure and fresh powder, not just crowded groomers. For those willing to pay, Keystone’s full-day snowcat skiing in Bergman, Erickson and Independence bowls delivers the deep goods. On a budget? The bowls are also open to hikers with avalanche gear and training. Copper offers snowcat and/or hike terrain on Tucker Mountain. The really good news? Both are free with the price of a lift ticket. “I think with the increase of folks that want to get into the backcountry, this is a great way to introduce that to them in a safer, controlled environment,” says Copper spokesman David Roth.